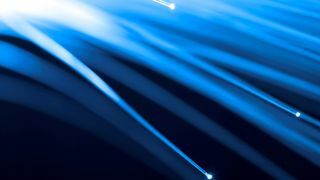 You may recall that last year, the Mayor of London, Boris Johnson, promised residents and businesses of the capital lightning fast internet speeds, as he vowed to deliver 5G mobile services by 2020. Johnson believes achieving rapid connections will crystallise London as 'the tech capital of Europe' – further developing the sterling reputation the city is already earning for digital prowess. However, delivering this ambitious aim will require major operational and architectural investment in the city's existing infrastructure. The Mayor's promise raised consumer expectations of accessing superfast networks that offer them the highest quality of mobile experience. Actually delivering 5G to Londoners – who are currently lucky to achieve a decent 3G signal across the city and struggle to receive a mobile signal on a train – within five years coupled with the anticipated quality of service, is certainly a huge challenge. Network operators and service providers are going to have their work cut out delivering the 5G standard. While making London 5G-enabled by 2020 seems to be a daunting task, those who think smart and embrace new technology to enable faster delivery of new services and capabilities will end up reaping vast financial benefits. The UK's first 4G service only launched in October 2012, courtesy of Everything Everywhere, with fellow service provider Three following suit two months later and Vodafone belatedly launching its own 4G offering in August 2013. After over two years since its first appearance, 4G signal in London – never mind the rest of the UK – remains patchy at best. Consumer demand for data-heavy, bandwidth-hungry services is booming with the increase in popularity of on-demand video, music and video streaming. Google reports the statistic that from the beginning of recorded time until 2003, we created 5 billion Gigabytes of data. By 2011, the same amount was created every two years, and in 2013 the same amount was created every ten minutes. The surge towards connected devices is only adding to these numbers. The Mayor's promise of (relatively) imminent 5G will only serve to heighten the expectation of bigger, better and faster connectivity levels that are capable of flawlessly transmitting the exponentially increasing volume of data. To deal with the deluge of data and to appease end user demand for the highest possible levels of mobile connectivity, network operators need to get on board with the Software-Defined Networking (SDN) revolution. SDN is fast becoming the future of networking, and will be critical in enabling service providers to create more efficient, agile and scalable transport infrastructures that are capable of meeting the hyper-growth data demands generated by the cloud and networking world. SDN comes in many forms. The easiest to understand is the SDN used with optical networks, where there are switches in charge of processing and redirecting the incoming light streams of data. Previously the control functions were built into the hardware, but now they are being designed with broader and more flexible functions as part of the controlling software communicating between the two devices to instruct them on what they need to do with the data. The result is an intelligent software-led network that is more efficient at transmitting data. SDN provides a cost-effective way to maximise the current transmission infrastructure of service operators and bridge the gap before the next level of technology transmission (5G) becomes available. We're already seeing indications of a major boom in the SDN market in the coming years. Global analyst firm IDC forecast SDN to become a $3.7 billion (around £2.4 billion, AU$4.8 billion) market by 2016. Between 2017 and 2020, SDN and the related concept of Network Functions Virtualisation will become the new norm, as operators begin to feel comfortable with the technology and fully adopt the process.